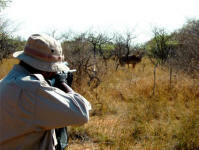 Welcome to Cruiser Safaris website: safari hunting South Africa. THE website with attention to all the details to make your dream of a South African Safari a reality. Although there are a multitude of safari outfitters today, you will soon learn that Cruiser Safaris is the ultimate destination for your South Africa hunting safari. With over two decades of safari experience we pride ourselves in our commitment to providing you a staff that is dedicated to first-class service, wildlife conservation and ensuring your stay in South Africa abounds in pleasant experiences. We will make certain that your hunting safari is tailored to your desires and hunting abilities making your hunt stress free and our NO HIDDEN FEE policy along with our low pricing and complete information, will provide you with pleasant memories that will last a lifetime. We want to share with you the Africa we know and love and the lasting excitement of this landmark in your life knowing that afterwards this experience will be the baseline by which you will measure everything else. 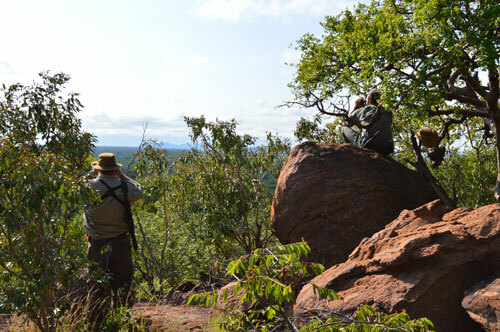 Planning your hunting safari may seem like a daunting endeavor but with all of the information contained on our website we strive to make this planning easy, even if this is your first hunting safari to Africa. 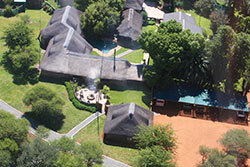 We feel that the more information you have before you arrive, the more comfortable you will be during your safari. Although Africa is known as the Dark Continent, at Cruiser Safaris we will turn the light on for you. 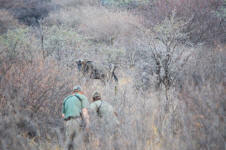 You are now ready to take a hunting safari in South Africa but where do you begin your planning? Our web site will guide you through all of the initial planning that you will need. First of all, you will want to have an idea of the animals that you would like to hunt. Our Trophy Fees page will show you the plains game animals that are available. Take some time looking at them and soon you will come up with a list of your priority trophies. In order to save you money we have come up with several Hunting Packages that include the trophies that most hunters are interested in taking. By having Seven, Eight and Ten Day Packages you will be able to select the amount of time that works best for you. We don’t charge for your day of arrival nor your day of departure giving you 7, 8 or 10 full days of hunting! What is the hunting camp like? On our Lodge Accommodations pages you will see our modern, exclusive, first-class, relaxing and comfortable safari hunting lodge. With our pool and hot tub, you will find that the accommodations are also very family friendly. What else is there to do if my family comes with me? 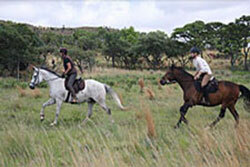 There are several day trips available for you, your family and hunting or non-hunting companions including horseback and elephant rides and National Park tours. Visit our Other Activities page for more information on those and more available options. What is the hunting area like? Our Location page gives a good idea of the terrain in our area. 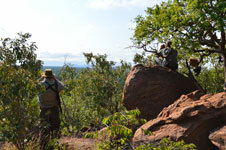 Most hunting is on flat bushveld but we also hunt more mountainous areas. Remember, we tailor your hunt for your abilities and will not make you climb a mountain to be successful. But there are so many other questions like flights, health, safety, customs, climate, currency etc.! Answers to all of these areas and many more can be found on our General Information pages. Also check our FAQ page for answers to the questions we are commonly asked. Plus, at any time, using the forms found on the site, you can contact us with any other question that you may have. These contact forms are answered quickly to aid in your planning. 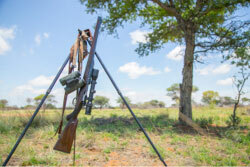 With our knowledge of South Africa and the extensive information we provide, you can rest assured that we will guide you to your dream of safari hunting in South Africa. When you leave Cruiser Safaris you will be surprised how your anxiety upon arrival turns into remorse for having to leave all of those smiling faces you just met that are now considered true friends. It’s amazing how a onetime encounter can change your life. Picture yourself in these hunters place. Ultimate African safari hunting moments.